As frequent visitors to my bird feeder I am always excited to see either a blue jay or cardinal. 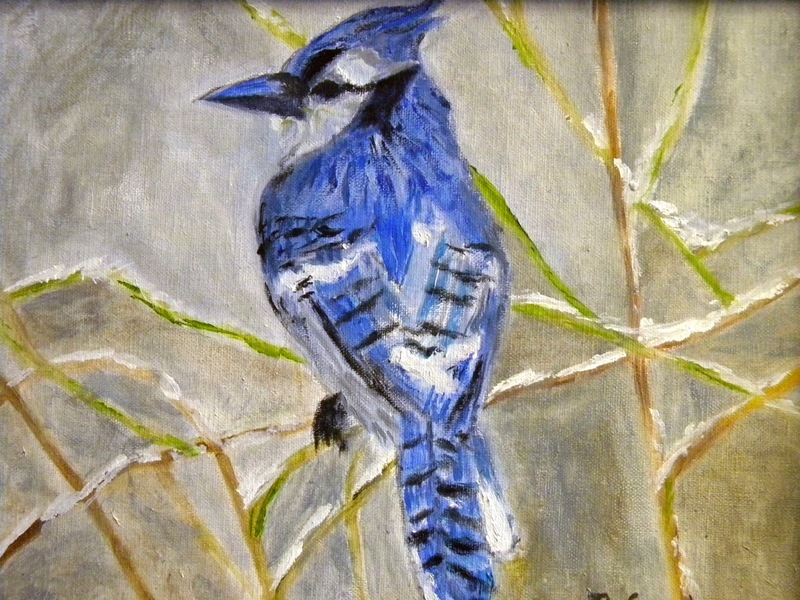 The blue jay always announces himself by a rather loud voice or call. Being larger than most winter birds at the feeder they are often bullies to the smaller birds and can empty a feeder in short order. They are some of the colors that to me say spring will soon be here. This painting is also available through my studio.